Image by USDA-NRCS PLANTS Database/Herman, D.E. et al. Mugo pines are a great alternative to junipers for gardeners who want something different in the landscape. Like their towering cousins the pine trees, mugos have dark green color and fresh pine smell year round, but in a much smaller package. Find out about caring for mugo pines in this article. What is a Mugo Pine? Mugo pine (Pinus mugo) is a carefree evergreen that can take the place of overused landscape ground cover plants such as junipers. Short, shrubby varieties are neat in appearance with branches that grow to within inches of the soil. It has a naturally spreading habit and tolerates light shearing. In spring, new growth shoots almost straight up at the tips of the horizontal stems to form “candles.” Lighter in color than the older foliage, the candles form an attractive accent that rises above the shrub. Shearing off the candles results in dense growth the following season. These versatile, dense plants make good screens and barriers that can add privacy to the landscape and direct the flow of foot traffic. Use them to divide sections of the garden and create garden rooms. Low-growing varieties make excellent foundation plants. Native to European mountain areas such as the Alps, Carpathians and Pyrenees, mugo pine trees thrive in cool temperatures and high elevations. This group of evergreen trees grows to between 3 and 20 feet in height, and they can spread to widths of between 5 and 30 feet. If you live in U.S. Department of Agriculture plant hardiness zones 2 through 7 and don’t have particularly hot summers, you can grow mugo pines in your landscape. Gardeners looking for a dense shrub or small tree to serve as a screen or a low-maintenance ground cover and those who need a plant to help with erosion control should consider planting mugo pine. Growing these rugged little evergreens is a snap. They adapt to a wide range of soil types, and they resist drought so well that they never need watering. All they ask for is full sun, perhaps with a little afternoon shade, and room to spread to their mature size. ‘Compacta’ is labeled as growing 5 feet tall and 8 feet wide, but it usually grows a good bit larger. ‘Enci’ grows very slowly to a height of about three feet. It has a flat top and very dense growth habit. ‘Mops’ grows 3 feet tall and wide with a neat, round shape. ‘Pumilio’ grows taller than Enci and Mops. It forms a shrubby mound up to 10 feet wide. 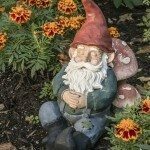 ‘Gnome’ is the smallest of the mugos, forming a mound of dense foliage only 1.5 feet tall and 3 feet wide.